What Can You Do About the Equifax Data Breach? The recent Equifax Data Breach has compromised sensitive information for almost 150 million Americans. To see if you were affected, you can enter your information here. If you have been affected, it’s important to be proactive to protect your credit. Here are some steps I recommend. For those who believe their data was compromised, the free credit monitoring that Equifax is providing could be a good start: https://www.equifaxsecurity2017.com/. Also, here's a free website I use to personally monitor and improve my credit score: https://www.creditkarma.com/auth/logon/ On this site, you can set up proactive alerts to warn you if there's a big change on one of your credit reports by selecting 'Profile & Settings', then 'Communications & Marketing', and checking the ongoing alerts you would like to receive. If you don't wish to use CreditKarma.com or a similar site, you can also visit https://www.annualcreditreport.com/index.action and obtain your credit reports for free from each of the credit reporting bureaus. These three sentences commenced my unfortunate identity theft journey. In the next few days, I came to learn that a man had my Social Security number and full name and had created a fake driver’s license with my correct home address alongside his picture. He walked around the Atlanta mall impersonating me, moving from store to store trying to open credit accounts. So far, he had succeeded at Neiman Marcus, Best Buy, Toys 'R' Us, and several times at Verizon. Before we were alerted, he’d run up more than $1,000 in cell phone charges. Based on the amount of information my identity thief knows about me, I am positive it will happen again in the future. However, I have alerts set now that tell me when anyone requests new credit and a special verbal password to use with the credit agencies and my banks. I continue to do everything I can to protect my data myself, but a lot of it is out of my hands since I’ll frequently have to share my Social Security number, date of birth, name, address, driver's license number, or other information. 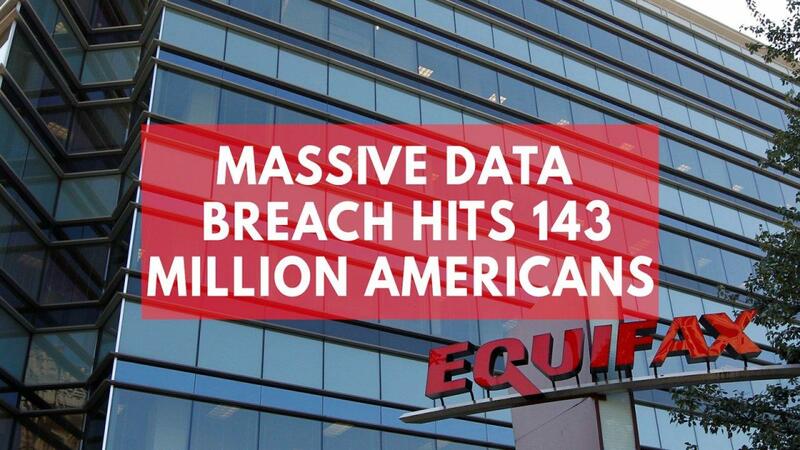 Furthermore, data breaches are becoming more common, so it's just a matter of time before it happens again. Whether you have questions about protecting your identity in the wake of the Equifax Data Breach or seek advice about other elements of your finances, I’m here to help and am available to chat. You can easily book an appointment with me online here.